Duke Biobank manages a searchable index of biospecimens that may be available for use. The Duke Biobank is leading the implementation of the institution-wide biospecimen information management system. Index of Biospecimens is a catalog of existing clinical research biological samples at Duke that are available for research projects. LabVantage® Biobanking Information Management System will serve as Duke’s biobanking information management system. Biofluids Shared Resource — (BSR) The BSR (previously known as the DNA bank) holds approximately 500,000 human biological samples and offers biobanking services, including blood fractionation, DNA and RNA extraction, storage and tracking. Consider a meeting with the BSR Study Implementation Group to consult about how to best serve your biobanking needs. Kathleen Price Bryan Brain Bank and Biorepository — The Brain Bank provides Duke researchers and academic and industry collaborators access to a collection of over 1,000 frozen and formalin preserved brains, 400 cerebral spinal fluid biospecimens with accompanying clinical, pathology, and neurocognitive data, and over 6,200 DNA samples. Duke Human Heart Repository (DHHR) — The DHHR has over 30,000 human heart samples from over 550 donors for research and is a resource for assay development, target identification, and sponsored research. Biospecimen Repository and Processing Core — (BRPC) is Duke’s central tissue procurement core in the Department of Pathology and is supported by the Duke School of Medicine and the Duke Cancer Institute. BRPC provides services that include patient identification, informed consent, specimen collection, processing and annotation of specimens, storage and specimen distribution. The MURDOCK Study — This community registry and biorepository in Kannapolis is a longitudinal community-based registry, managed by CTSI, that has banked more than 415,000 biospecimens (including plasma, serum, whole blood, PAXGene® RNA, buffy coat, and urine) from over 12,000 study participants who have contributed self-reported data during enrollment and follow-up timepoints. The Office for Faculty Mentoring is housed within the Office for Faculty Development and aims to support the strong mentoring community within the School of Medicine. The programming is designed to help junior faculty members write successful grant applications for an ever-competitive funding environment. The Duke Office of Clinical Research is a resource for budget assistance for site-based clinical studies in the School of Medicine. Duke Clinical Research Institute (DCRI) is an academic-based coordinating center for multisite clinical trials, with expert thought leaders across disciplines. The DCRI performs outcomes, comparative effectiveness, and quality of life research. Services include study design, clinical operations, statistics, data management, regulatory support, safety surveillance, and clinical event classification. The Duke Early Phase Clinical Research Unit is a 30-bed, hospital-based Phase I research unit that conducts early phase studies that require constant patient surveillance. Early Phase has an embedded anesthesiology suite for pharmacology studies, a registry of more than 4000 normal healthy volunteers and a recruitment service. Researchers seeking clinical expertise and operational capacity to translate preclinical discoveries, new technologies, or device prototypes to humans can collaborate with Duke Early Phase Clinical Research to conduct a broad range of early phase, proof-of-concept, and first-in-human studies. We partner with pharmaceutical, biotech, medical device, government agencies, foundations, technology companies, and academic centers to accelerate the availability of therapies, diagnostics, technologies, and medical devices to patients. Our thought leaders optimize clinical trial design to increase operational efficiencies while maintaining regulatory compliance. Contact Juan Martinez at jaun.martinez@duke.edu or (919) 384-6418 with details about your research question and needs. You will receive a response within 24 hours. Duke Office of Clinical Research (DOCR) supports the clinical research units (CRUs) that provides tools, training, and resources for site-based research at Duke. DOCR coordinates a research management team of research coordinators, project managers, and data analysts available through a fee-for-service model to support research projects that need part-time support. Office of Research Informatics (ORI) provides services to support academic research including information technology (vended system selection, custom software development, technical and user support, system integration), academic informatics, research faculty and curriculum development, and data stewardship. NIH Collaboratory’s Living Textbook of Pragmatic Clinical Trials is a web-based resource of information on conducting pragmatic clinical trials. The textbook’s content is updated continuously and intended for a broad audience ranging from new and experienced researchers to patients and patient advocates. ResearchMatch is a volunteer registry service that matches researchers nationwide with volunteers interested in participating in clinical research studies. Duke is one of more than 70 institutions participating in ResearchMatch. Registration in ClinicalTrials.gov is REQUIRED for all “Qualifying Trials”, meaning clinical trials that are qualified for coverage as specified in the "Medicare National Coverage Determination (NCD) Manual," Section 310.1. A ClinicalTrials.gov NCT# must be provided to DOCR for all “Qualifying Trials” before institutional study approval is granted. For more information regarding qualifying trial determination, please click here or contact DOCR.Help@dm.duke.edu. IRB Forms and Standard Language can be found on the Duke IRB website. Larger publishing houses often offer manuscript matching using a free algorithm model to identify the journal that might be the most appropriate for your research. Elsevier, Thompson Reuters, and Springer all offer this service. The Agency for Healthcare Research and Quality also offers guidance through an online dissemination planning tool. * Please remember that research supported by CTSA-funded resources must cite the Duke CTSA grant number (UL1TR001117) and be submitted to PubMed Central. For media relations needs, contact the appropriate departmental or Duke Medicine communications liaison. A course on Working with the Media is available through the Duke Learning Management System. Population health is an overarching concept encompassing a number of distinct activities that share a common goal of improving the health of populations. Duke's Department of Community & Family Medicine has developed common language around the study and practice of population health. Mentor Duke tracks mentoring interactions for both mentees and mentors. Mentees can set career development goals and monitor their progress. Meetings with mentors are documented recording participants, topics discussed and duration. Mentors can record and track additional mentoring activities. 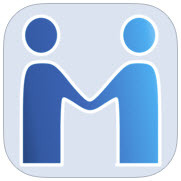 Any Duke user with a valid NetID and Apple mobile device can use the Mentor Duke application. ​PCATS is a series of short video presentations created by Duke professors Kevin Weinfurt, PhD, and Steven Grambow, PhD, covering principles and techniques for developing and delivering effective scientific presentations. The Clinical Research Training Program provides academic training in the quantitative and methodological principles of clinical research. The program's degree option leads to a Master of Health Sciences in Clinical Research. Applications for the 2017-2018 academic year close on May 15, 2017. View more information and application instruction on the School of Medicine website. The Duke Office of Clinical Research offers a wide variety of training and education classes, including MaestroCare, Research Data Security Plans, and Duke Human Research Training (DHRT). Visit their site for a full listing. Duke Human Research Training (DHRT) is required for all employees who are engaged in or support human subject research at Duke. DOCR approval will not be given for a study in the eIRB until everyone on the key personnel list has successfully completed this training. Graduate Medical Education (GME) and the Duke Office of Clinical Research (DOCR) offers a seminar series exploring foundational research concepts and practices. The series is comprised of 8 one-hour segments and is offered in September, October and November. The Duke Office of Clinical Research (DOCR) and the Medical Center Library & Archives have partnered to bring the Duke Clinical Research Community the “Research Wednesdays” series featuring important topics presented by subject matter experts in each field. Research Wednesdays are held the 2nd and 4th Wednesdays of the month. Unless otherwise posted, all presentations will take place in Duke North 2002. No registrations is required. Just bring your badge and sign in at the door. Print your handouts ahead of the session from the Duke LMS. View the upcoming schedule of presentations and recordings of past presentations (through LMS) on the DOCR website. Duke Corporate Education (Duke CE) - Global learning and development company that provides numerous educational platforms to help organizations achieve their goals. The Occupational & Environment Safety Office (OESO) promotes a safe environment for Duke University and Duke Health System. OESO is committed to providing expertise in safety and health in a friendly, responsive and enthusiastic manner. CTSA Education Database – This searchable database provides direct links to training seminars and other educational opportunities at Duke related to translational medicine and translational research. The Medical Center Library offers courses on using PubMed and other types of literature searches. The Duke Innovation and Entrepreneurship (I&E) provides resources to support students and faculty in exploring, validating, and launching entrepreneurial projects. The Office of Audit, Risk & Compliance (OARC) provides advisory services and guidance in matters of compliance and facilitates implementation of a "compliant culture." Research Costing & Compliance (RCC) office serves as the primary resource for financial research compliance management. This office offers a comprehensive portfolio of training classes and certificate programs in support of Research Administration at Duke University. Institutional Animal Care & Use Committee (IACUC) oversees and evaluates all aspects of Duke’s animal care and use program. The IACUC ensures that all animals in experimental research are used appropriately and are treated in accordance with the highest standards of humane care. Duke-Coulter Partnership awards funds to accelerate translational research projects that address unmet clinical needs and lead to improvements in clinical practice. Approximately $700,000 is available per year for awards. CTSI Pilot Program – awards funding to support the development of novel methods and proof-of-concept evaluation of therapeutic agents, biomedical devices, diagnostics and other initiatives to improve health care. Awards range from vouchers to use shared resources on campus, to $500,000 awards for mature research with potential for commercialization. Duke Funding Opportunities Database is a searchable database of university-wide funding opportunities. It is updated regularly and includes an option to subscribe to a weekly newsletter. MyResearchProposal is a web-based tool used for streamlining the management of competitive grant application processes, nominations and other data collection mechanisms used by CTSI, the School of Medicine, School of Nursing and other institutes and departments across Duke. You can log on to the portal here. For more information regarding MyResearchProposal, contact Anita Grissom at anita.grissom@duke.edu or 919-668-4774. Applicant instructions can be found here. Reviewer instructions can be found here. For technical issues and password resets, contact myresearchproposal@duke.edu. Duke Institute for Health Innovation (DIHI) provides funding for innovative pilots, especially in care delivery, health technology and applied health policy. The North Carolina Biotechnology Center offers a Technology Enhancement Grant (TEG) as well as Biotechnology Innovation Grants (BIG) to universities and other North Carolina research institutions. Duke Innovation and Entrepreneurship Initiative (I&E) - provides resources to support students and faculty in exploring, validating, and launching entrepreneurial projects. Office of Licensing and Ventures (OLV) coordinates patents, licensing and partnerships to advance Duke technologies to market. Invention Disclosure - Duke investigators should disclose an idea, discovery or process to Duke by completing an Invention Disclosure Form (IDF). The IDF is a confidential, internal memo and will be used by OLV to assess patentability and potential commercial market. An IDF should be submitted to OLV 3 months before disclosing your idea to the public. Duke Institute for Health Innovation (DIHI) promotes innovation in health and health care through high-impact research, leadership development, and cultivation of a community of entrepreneurship. Duke Global Health Institute (DGHI) is committed to developing and employing new models of education and research that engage international partners and find innovative solutions to global health challenges. Duke Law Start-up Clinic provides legal advice and assistance to seed and early stage entrepreneurial ventures. myRESEARCHnavigators is a team that can assist with identifying resources, finding answers to questions, and providing an overview of a process or requirement for research at Duke. myRESEARCHhome is a self-service portal accessed via NetID that offers access to a host of research tools at Duke. Animal Care & Use Program oversees all research performed on animals at Duke. Institutional Animal Care & Use Committee (IACUC) ensures that animals in research are used appropriately and treated in accordance with the highest standards of humane care. Division of Laboratory Animal Resources (DLAR) provides quality care for laboratory animals at Duke and serves as a resource for investigators conducting animal research. Office of Animal Welfare Assurance (OAWA) supports animal-facilitated research program by providing administrative support for the IACUC, regulatory and funding agency interaction, protocol pre-review, compliance monitoring, and training for the research community. The Duke Clinical Research Institute Regulatory team collects information about clinical trials from around the world and makes it available at https://www.nihcollaboratory.org/sites/cbyc/SitePages/Home.aspx(link is external). This information includes news, lists of governmental agencies and ethics committee information, submission requirements, and adverse event information. Office of Regulatory Affairs and Quality provides regulatory guidance from preclinical requirements to first-in-human studies and beyond. The group serves as a no-cost resource to regulatory strategy development, IND/IDE preparation and maintenance, GCP/GLP/GMP requirements, and interfacing with regulatory authorities, such as the FDA. The regulatory affairs group also offers educational opportunities and internships. This office is part of the School of Medicine and is partially supported by the Duke CTSA grant. For more information, contact Amanda Parrish, director of regulatory affairs and quality, at (919) 668-8772 or amanda.b.parrish@duke.edu. Duke Research Integrity Office provides services to faculty, staff, internal Duke offices, and external organizations to ensure quality review, management, and reporting of conflict of interest (COI) as appropriate. The Office of Audit, Risk & Compliance (link is external) (OARC) provides expertise, consultation and assessment in matters of compliance and facilitates implementation of a "compliant culture." Conflict of Interest Policies outline the requirement the disclosure, review, and, where necessary, management of relationships that might be considered a conflict of interest (COI). University Institutional Ethics and Compliance Program (IECP) coordinates and supports compliance efforts and offices across Duke University. The School of Medicine also operates a Compliance Office. Institutional Review Board (IRB) reviews all research involving human subjects for the Duke University Schools of Medicine and Nursing, Duke Regional Hospital (formerly Durham Regional Hospital), Duke Raleigh Hospital, and Duke Primary Care. Stem Cell Research Oversight (SCRO) Committee reviews any protocols that include the use of human cells, human embryonic cells (hES), induced pluripotent cells (iPS) or tissue in research. SCRO review is conducted in addition to review by the IRB, IACUC, or Institutional Biosafety Committee (IBC). Duke Office of Clinical Research (DOCR) supports the clinical research units (CRUs) that provide tools, training, and resources for site-based research at Duke. DOCR coordinates a research management team of research coordinators, project managers, and data analysts available through a fee-for-service model to support research projects that need part-time support. Internal Audit Office (OIA) provides audit, review, and consulting services within Duke University and Duke Medicine to examine and evaluate their activities. Office of Foundation Relations manages corporate philanthropy efforts to support Duke programs and faculty. Office of Research Administration (ORA) supports management of grant applications and award through databases for the administration research performed at Duke. Scholars@Duke features the research, scholarship and activities of Duke faculty members and academic staff. A research networking system, Scholars@Duke displays web profiles that summarize a person's roles at Duke and displays their connections with colleagues. Cell Therapy cGMP Manufacturing Facility, a componenet of the Robertson Clinical and Translational Cell Therapy Program (CT2), provides infrastructure and support for the development and manufacture of advanced cell and tissue-based therapeutic products. Mousebase@Duke is a user-populated catalog of research mouse model strains used and maintained by Duke investigators, enabling investigators to access existing models instead of developing for increased research efficiency. MyResearchNavigators developed a comprehensive file of core facilities on campus that provide flow cytometry services. This Excel file includes detailed technical information including equipment type, capabilities, lasers, cell types, pricing, and any accreditations. It also includes the facility name and leadership for each unit. The file is current through May 2015. To request a copy of this file, please send an email to myresearchnavigators@duke.edu.